Boyds, Md. 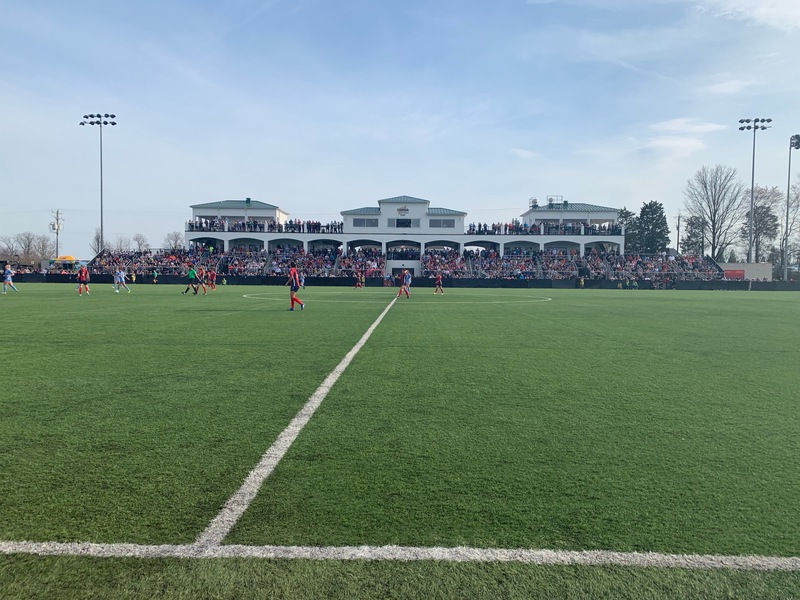 (3/30/19) – The Washington Spirit played the University of North Carolina to a scoreless draw at the Evergreen SportsPlex in Leesburg, Va. in front of a sell-out crowd of 2,000 fans. It was the third year in a row that the Spirit has hosted UNC at the Evergreen SportsPlex, and the third year that the fixture has sold out. Washington was quick to start the action as forward Arielle Ship intercepted a backpass meant for UNC keeper Claudia Dickey inside the six-yard-box, but her square pass meant for Cheyna Matthews was eventually scooped by Dickey. Later, in the 29th minute, defender Dorian Bailey whipped a looping cross towards the far post, where Matthews connected on a first-time volley. The shot zipped towards the near post but was gathered by Dickey. In the second half, substitute Joanna Lohman was able to find a streaking Jordan DiBiasi out of the midfield at the top of the box with a soft pass when DiBiasi lashed the ball with a first-time shot that bent just wide of the keeper’s right post. The Spirit’s best chance of the game was also courtesy of Matthews in the 84th, who found room inside the penalty area after latching onto a threaded ball from the midfield. Matthews took Dickey on in a one-on-one situation, but her close-range chance was saved. The Spirit flexed their muscles offensively, but could not break through a gritty UNC back line. The Spirit fired 19 total shots with nine on goal over the course of the game, outshooting UNC who managed only nine, with two on goal. The Washington back line performed well against the young UNC strikeforce, not allowing a single shot on target during the first half.